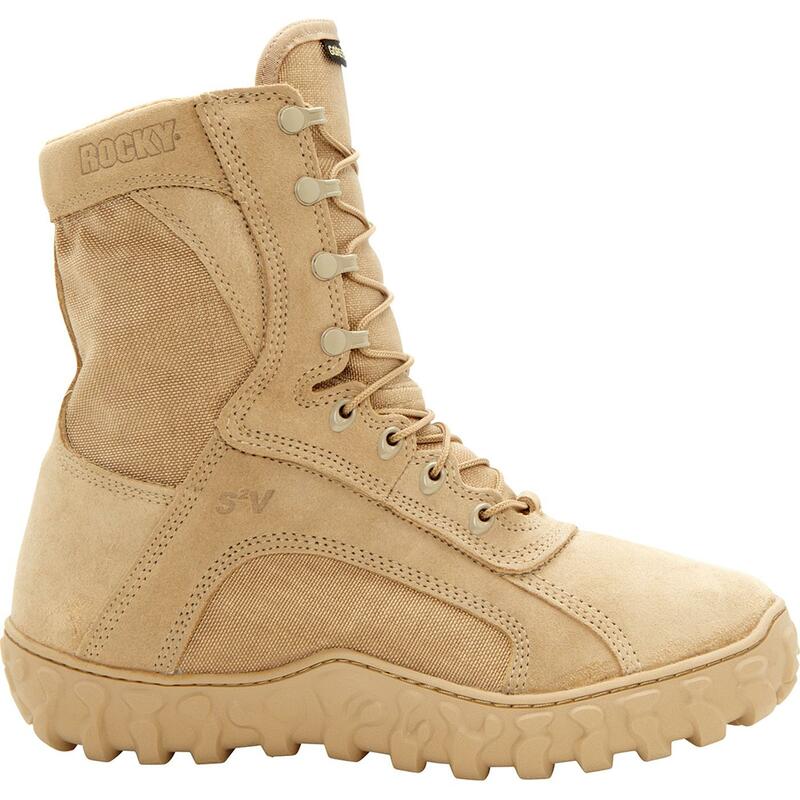 The Rocky® S2V GORE-TEX® Waterproof Insulated Tactical Military Boot is tactical shoe sure to fulfill specifications as well as expectations. 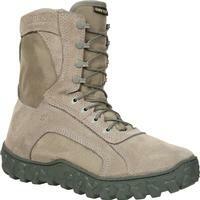 This powerful men's boot is GSA-approved, Uniform Compliant (AR 670-1) and Berry Compliant. 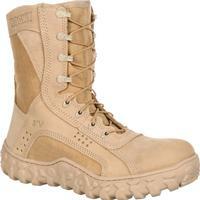 It's made in the USA for the American wearers on which our country relies. 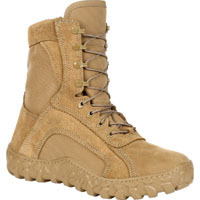 This tactical military boot demonstrates a strength to be appreciated by hardworking heroes in any industry. 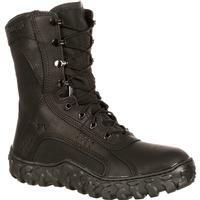 Waterproof and breathable GORE-TEX construction destroys wet threats and eliminates risk of wear and tear. 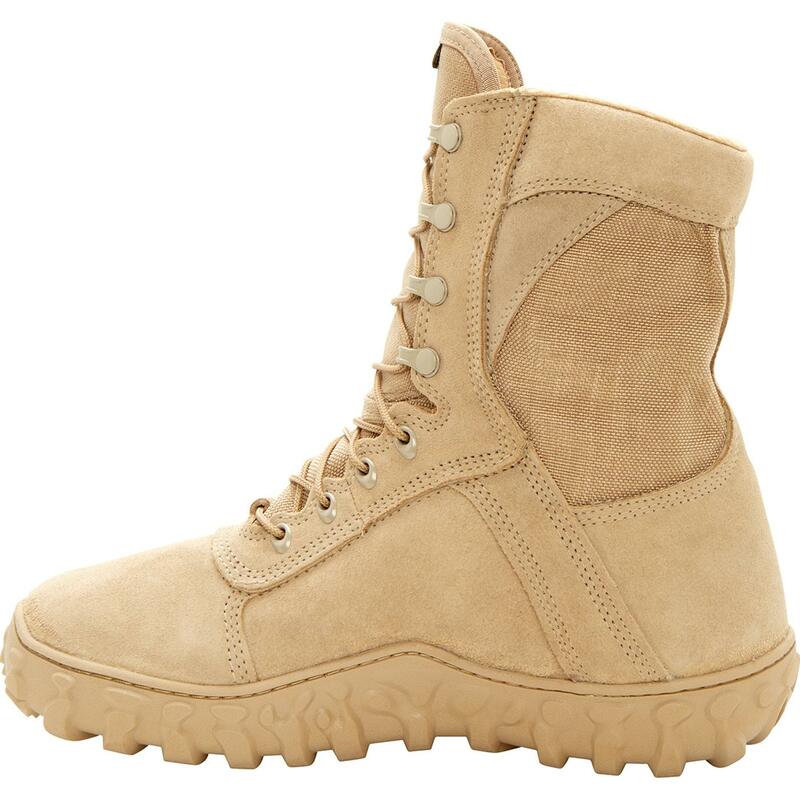 A sturdy 8 inches of triple-stitched, flash- and water-resistant leather empowers you to take on tasks and triumph over challenges. The strength of this men's work boot is matched only by its wearer. The proprietary high-walled Vibram soles are stitched to the upper, allowing you to enjoy secured structure and support without sacrificing mobility. 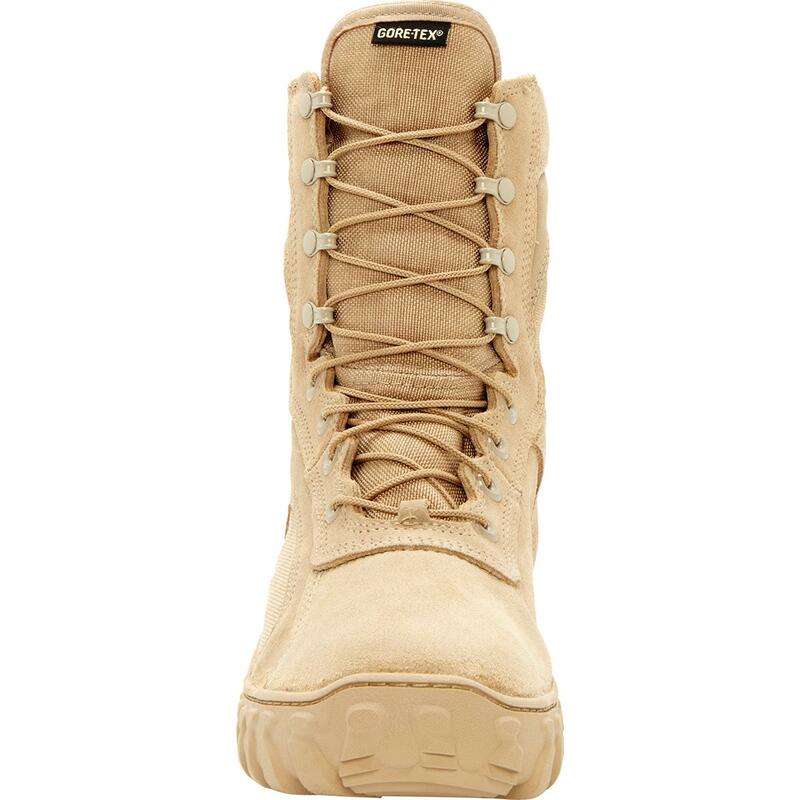 Brave work requires a brave boot that'll bring heroes home safely. 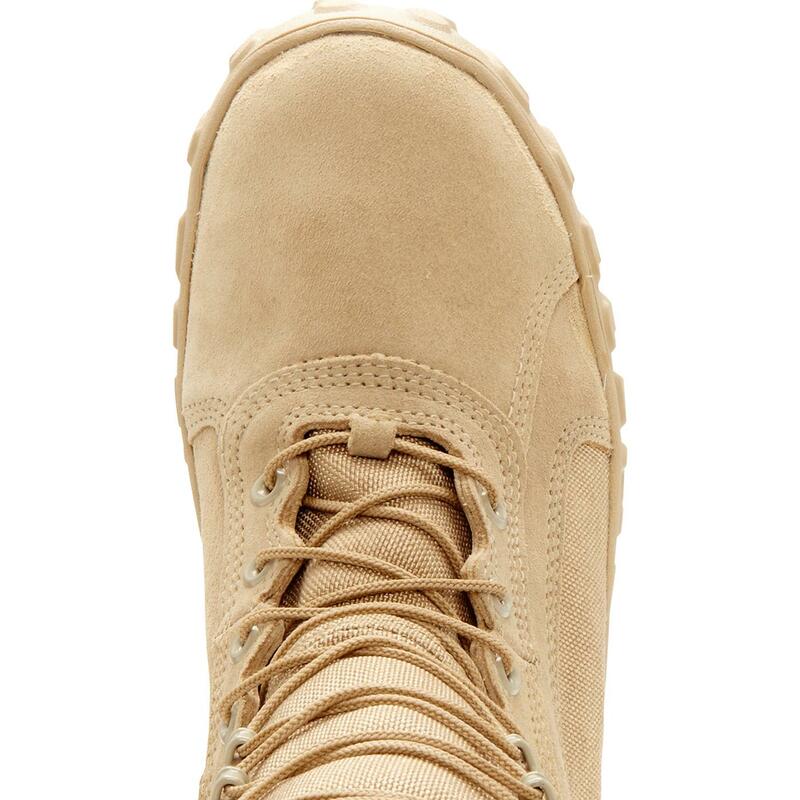 This work shoe is PTFE coated for effective flame-resistance. Its Roll-Stop Ankle Stability™ feature safeguards your stride so you can move with courage and confidence. Rocky has your wellbeing covered. Accomplishments are best completed in comfort. With 400 grams of 3M™ Thinsulate™ Ultra Insulation, you can count on a cozy footwear experience in any and all conditions. A Wicking Dri-Lex lining whips away wetness that could otherwise compromise the day's success, while the Aegis Microbe Shield with which Rocky reinforces this feature guarantees its ability to endure an extensive and exhausting span of time. 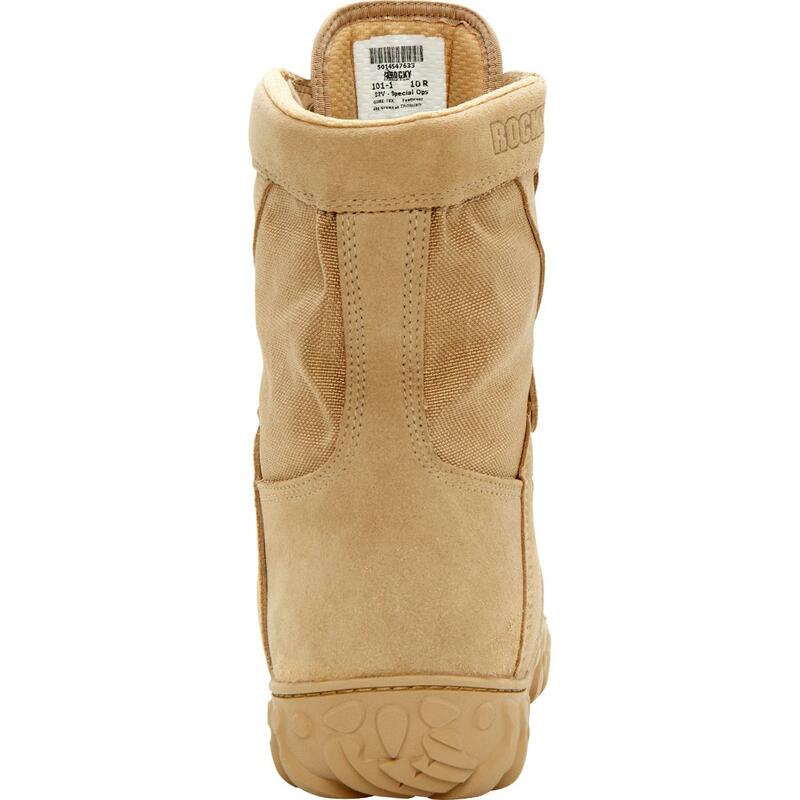 A Lycra Tongue upgrades your experience entering and exiting this boot and contributes extra cushion to your cradled foot. Rocky even included a fiberglass shank, a lightweight solution that reduces ache-inducing impact and keeps you moving with alacrity. 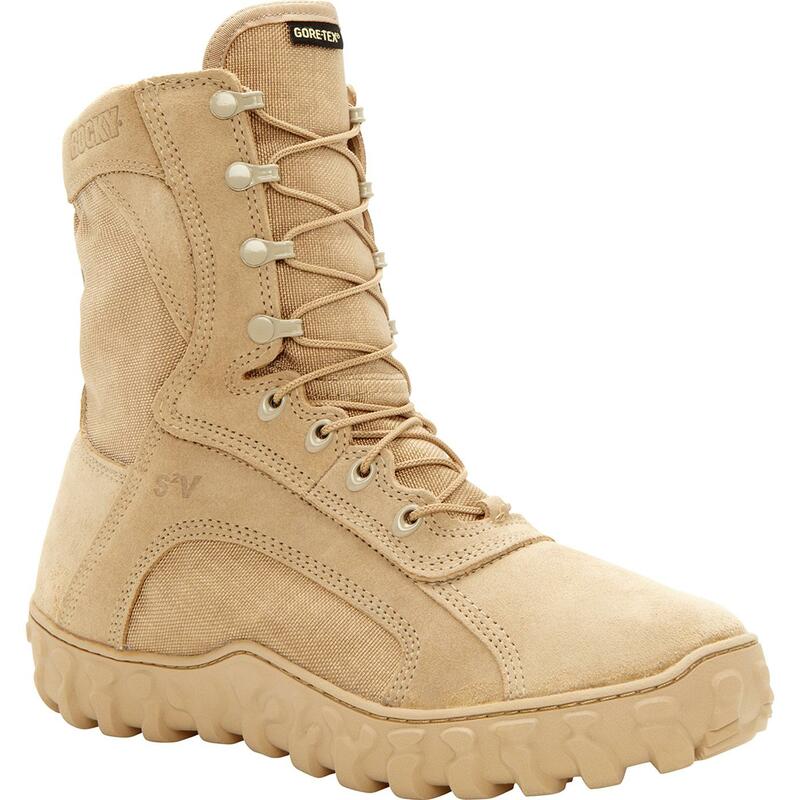 If you're looking for a strong boot with practical support, indestructible durability and sensational comfort, the Rocky S2V GORE-TEX Waterproof Insulated Tactical Military Boot is built to survive the long haul.